Startled by loud bang at the front door of her Ojai home, Billie Rainbird found a neighbor outside, there to warn her of the fast approaching Thomas Fire. “It felt like someone hit me in the stomach, and I just bolted into action,” said Rainbird, a local singer and songwriter. She raced around her house and home recording studio, gathering her things and piling bags into the back of the car. She grabbed photo albums, diaries, and most importantly, her beloved 19-month-old puppy, Bear. Unable to return until mid-December, Rainbird found her home completely burned to the ground. 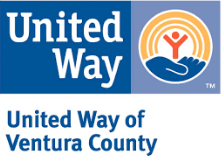 But through United Way of Ventura County, Rainbird received two months of rent from the Thomas Fire and Flood Fund to help her through the tumultuous time. “There was nothing left but a foot of ash where the house stood, and the car was a melted carcass,” she said. Fortunately, Rainbird’s neighbors across the road had an undamaged rental unit where they let her stay along with Bear.